Fatal circumstances await a newlywed couple as they embark on their honeymoon voyage down the Nile. -Online at Eventbrite (see links below). -Little Country Cappuccino. No telephone orders please. CALL FOR VOLUNTEERS: Hello Arts Supporters! 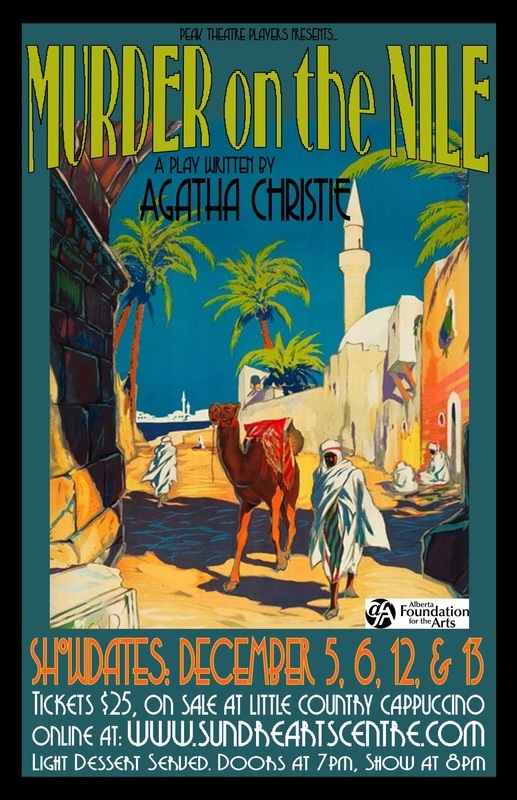 Volunteers are needed to help with the upcoming performances on December 5, 6, 12, and 13. Duties include: TICKETS, BAR TENDING, TABLE BUSSING, and DISH WASHING. You get to attend a great performance for free! To volunteer, please email Melissa (sunnym19@hotmail.com).